If I were to do the math I would say that at this point 95% of my closet is thrifted.......and its a good sized closet (like 1/3 of my room). Thrifting has always been something that I loved to do and I think it started when I was in middle school. When I was younger I was really into fashion, I liked following the trends, seeing what was in the stores, sketching outfits on any paper I could find, and trying to copy the trends for myself. However, I never could swing buying the latest trends so I started thrifting. I loved that I could buy a whole outfit for $20 at the thrift store when $20 would barely get me a dress at the store....$20 used to seem like $50 to my younger self and my love for thrifting has carried over into the present and influenced my style today. Everyone who knows me knows that I either make my own clothes or thrift them! 75% of the conversations I have with people are about what I am wearing and them asking me where I got it or if I made it. It's always seemed crazy to me that people don't consider thrifting to get good deals and find unique pieces and I think sometimes people don't thrift because they don't think the clothes would look good on them (yes, people have already worn them but that's half the fun of it). Part of the art in thrifting is knowing what you like, understanding your style, and using your imagination. 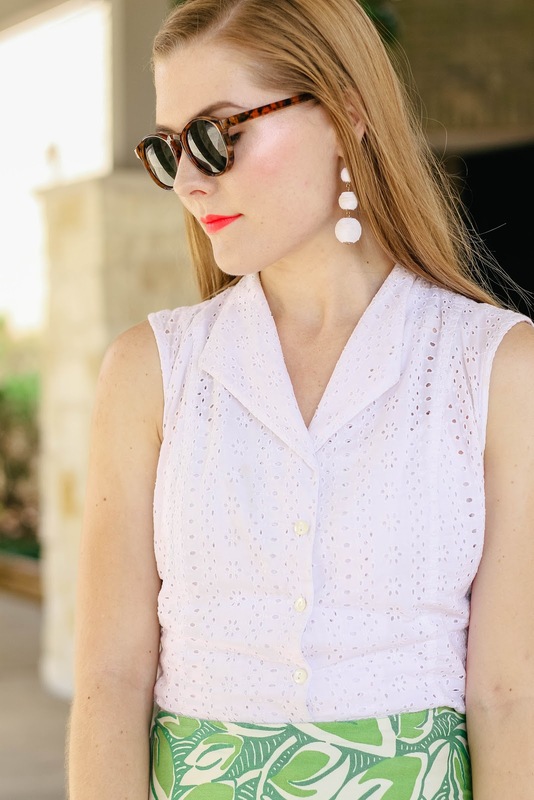 When you thrift you don't have models showing you how to style a trend, you have to use your imagination to come up with how to style a piece and that is why I love it! The pieces I find at the thrift store don't become a pieces from a brand but become a piece that is 100% ME, they become part of my brand and style and not the name they carry on their tag....I make them my own. When it comes to thrifting there are sooooo many options today! A lot of the time you can easily narrow your thrifting options by your style preferences. For myself personally, I LOVE Goodwill, Family Thrift Center, and other small thrift stores because I know they will always have unique pieces and often times find vintage pieces or brands. However, when I want pieces that are a well known brand or a brand with amazing quality that I could never afford to buy at full price, I always love checking out Thred Up! I love perusing Thred Up because I don't have to sort through racks of clothes but can easily narrow my search by brand, style, size, color, you name it and it makes thrifting so much easiar on me (plus you can do it in your pajamas...WIN)! Thred Up was lovely enough to reach out and let me choose some pieces from their vast collection and this fun and summery leaf skirt was one of the pieces that I chose. 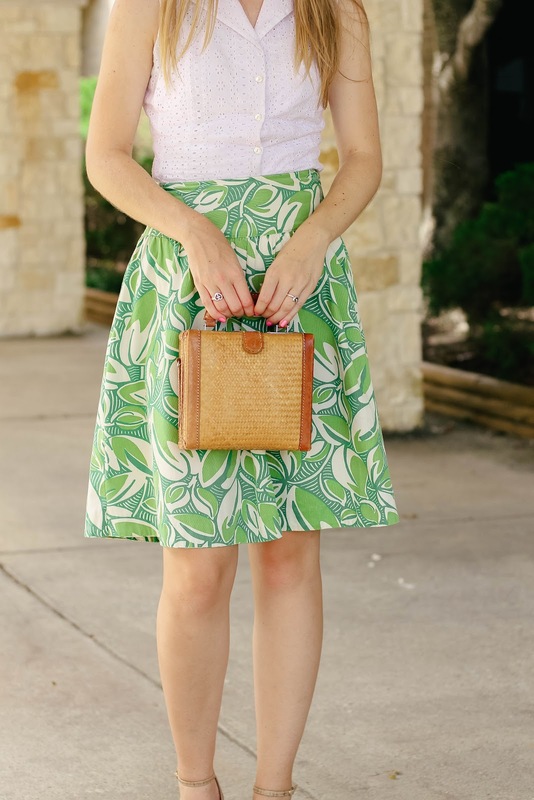 I have been wanting a leaf print skirt and knew this one would be perfect as soon as I saw it and I loved styling it with all of my other latest thrift finds including this lovely eyelet top, strappy eyelet cork kitten heels, and vintage straw bag. Are you a fan or thrifting? 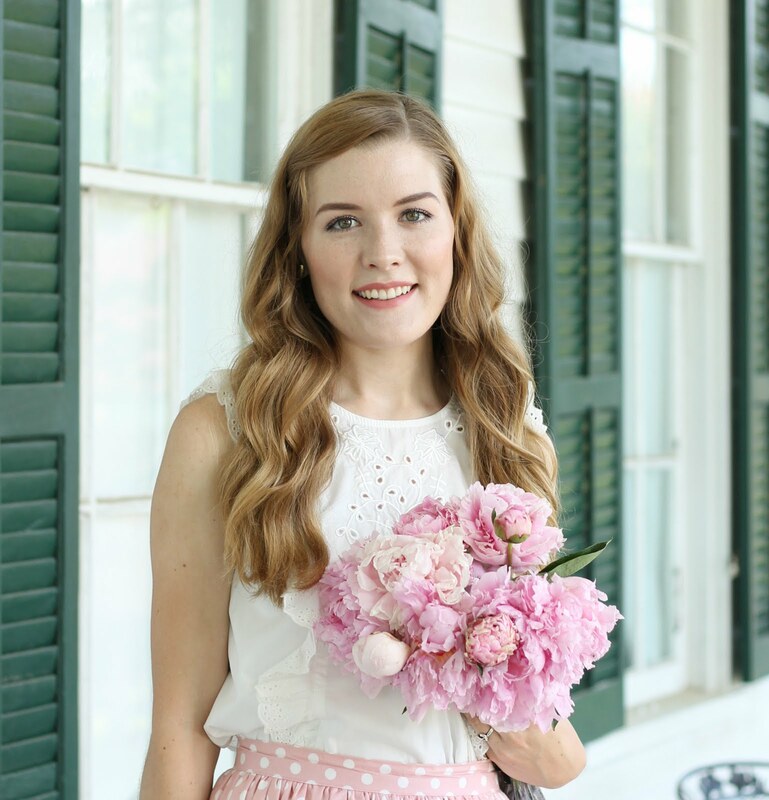 Have you ever shopped at ThredUp? Ooh loved this post!! 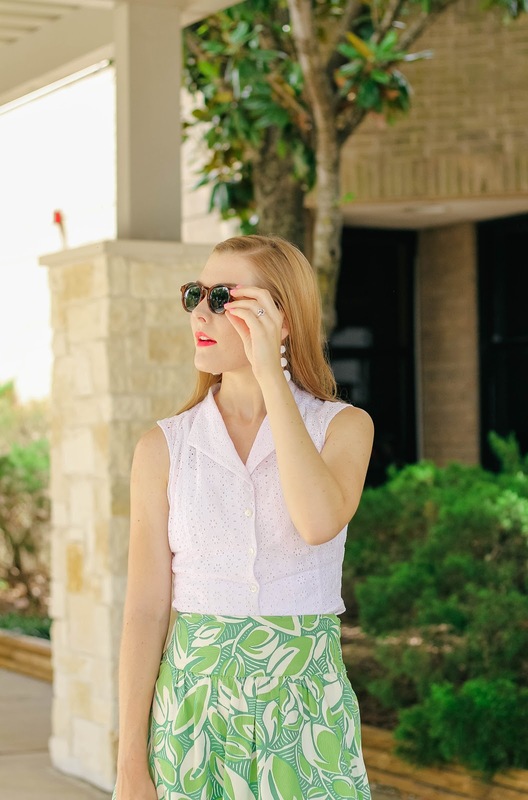 I love thrifting too and I love ThredUp! 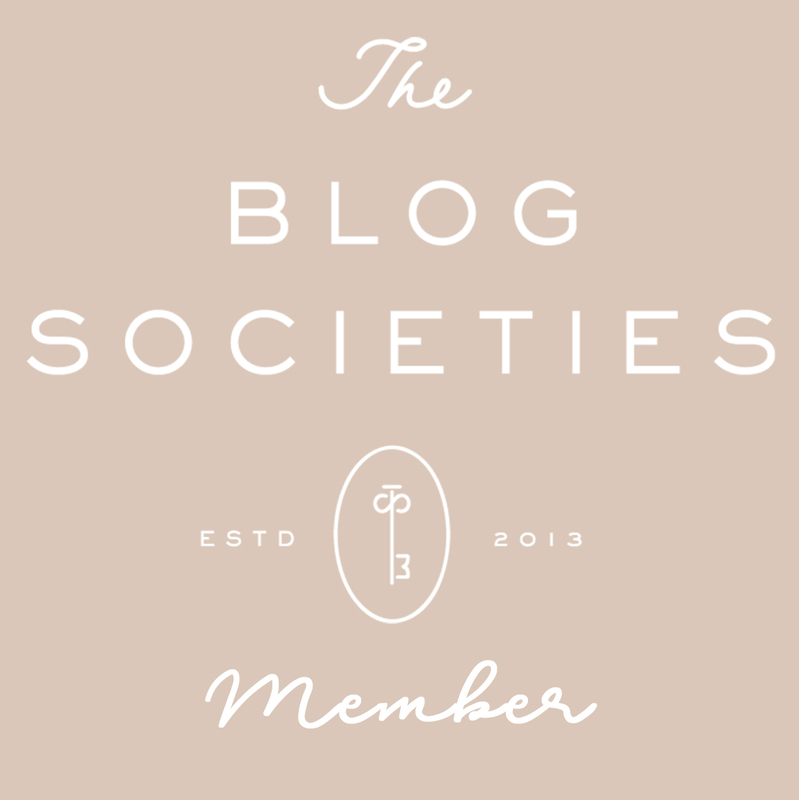 <3 It is so fun and inspirational to find other thrifters out there. Thrifting is so much fun!